Lots of effective altruists come from tech or finance backgrounds, or intend to go into these fields. 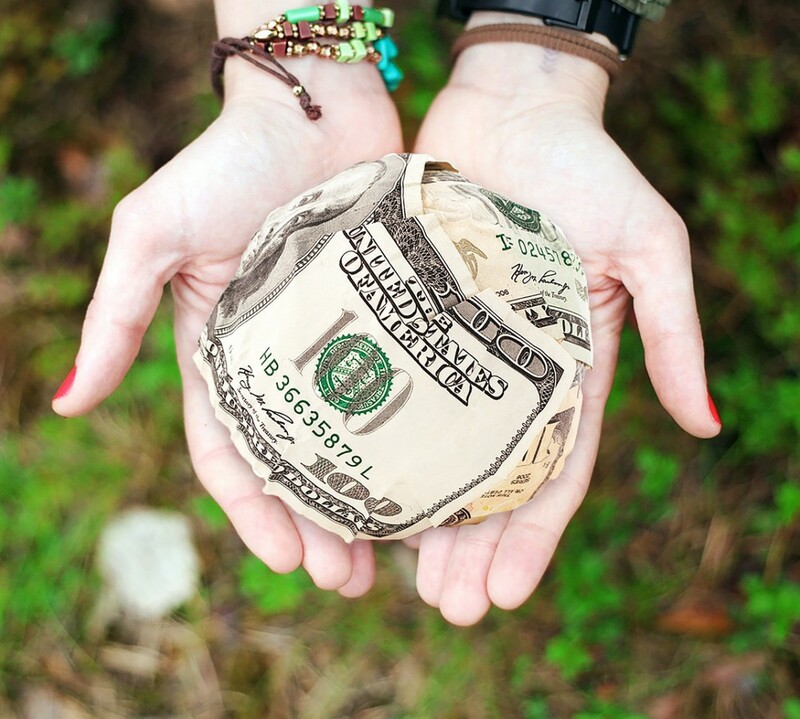 Many Effective Altruism organisations have sought to highlight that being able to give large amounts of your salary away is potentially far more effective than having a traditionally ‘altruistic’ (and substantially lower paid) job in the charity sector or international aid. Indeed, 80,000 hours features a career guide focusing on the very best careers for altruism and I would urge any young person wanting to make a difference but unsure about what career path to follow to use this as a resource. All in all, earning to give is a pretty great idea, but – and it’s a really big but – it’s unfeasible for the vast majority of people. Say I decide I want to earn to give, and I realise speech and language therapy just isn’t going to cut it. Can I retrain in finance, tech or medicine perhaps? I already have my degree, and there’s no way I could afford to do a second without a student loan. Even if I was eighteen again, I simply don’t think I could cut it in many well paid positions. I didn’t get good enough maths or science grades, and have no head for business. Worse, I’d risk feeling nothing for the career I was trying to show some passion for, slogging through the hours and hours (80,000, to be precise) of work which I would find uninteresting and uninspiring. I think someone who works all hours, never seeing their family in a job they hate, is likely to become cynical pretty quickly about their decision to earn to give. Obviously this won’t be the case for everyone. I’m sure most hedge fund managers love their jobs and I applaud the enormous difference any who are earning to give are making. However, I think Effective Altruism as a movement must be careful to consider the needs and strengths of ordinary people in order to grow and encourage giving on a large scale. A lot of people are extremely apathetic about giving money to charity. A big contributor to this is the ‘drop in the ocean’ analogy; that poverty is such a huge insurmountable problem that an ordinary person trying to do something about it is wasting their time. Effective Altruism shows us that this is not true; effective giving saves lives, eradicates diseases, and has the potential to end global poverty. My concern is that people will feel isolated by the idea that being an effective altruist means being a high earner, and will view the vital contributions they are able to make as just one more drop in the ocean. Yes, we should be encouraging people to earn to give – or simply to earn more so they have more to give away – but we should also be highlighting the achievements of anyone who has committed to giving, regardless of the amount. I recently attended a talk given by Alan Fenwick, director of the Schistosomiasis Control Initiative (SCI) which, incidentally, was set up with money from the Bill and Melinda Gates Foundation. As one of the most effective charities in the world, SCI aims to prevent literally millions of people from suffering diseases that cause malnutrition, growth defects, cognitive impairments, an increase in the prevalence of HIV and, ultimately, early death . How much would it cost to provide this support to everyone who needs it? About 50p per person per year. In his talk, Prof Fenwick asserted that the charity had about 2000 small scale donors, regularly donating £5-£100 each month, and about 5 donors who had given large scale donations. I think it’swell worth considering that 2000 people donating £10 a month contribute £240,000 every 12 months, treating around 720,000 people with life threatening conditions each year. In addition, committed small donors have significant power; a charity that can show reliable, consistent funding and impressive individual support is better able to convince large donors, trusts and foundations that they are a charity worth backing. Recently there has been increasing discussion about promoting inclusivity and engaging more women and people from ethnic minority backgrounds within Effective Altruism. These ‘harder to reach’ groups are also likely to earn less over their lifetime than their white male counterparts. While this is a separate cause to be fought, it is a disparity we should recognise and should be reflected in materials that encourage and value giving from every section of society. In short, Effective Altruism needs to encourage and represent everyone who believes in their values; you can make a significant impact no matter how much you are able to give. As the title of Peter Singer’s most recent book points out, it’s about doing ‘the most good you can do’. As far as I can see, the best I can do is to commit to pledging part of my (comparatively modest) future salary, to critically consider my actions and to continue to engage with Effective Altruism through writing, volunteering and networking. Be critical of your choices, but don’t get wrapped up in guilt, go ahead and make a difference doing the very best that you can. Update (Wednesday 29th July 2015): Since this article was written 80,000Hours have come out and advised that Earning to Give is by no means recommended for everyone. However, it’s still not 100% clear that this message is widely heard so it is important we all make clear that anyone can get involved in Effective Altruism in whatever ways suit them best.